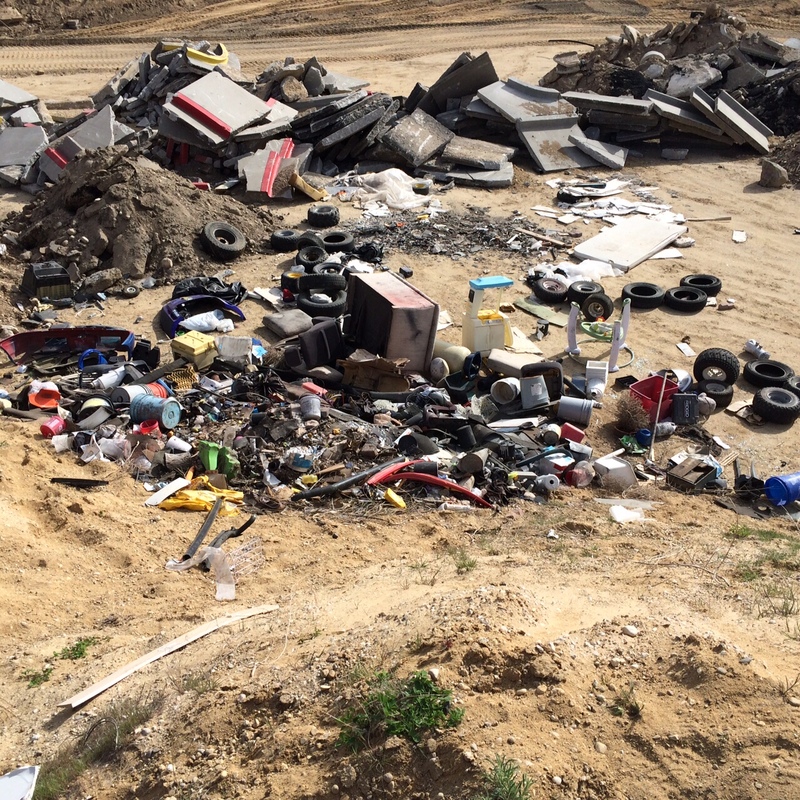 Last week, we posted pictures of several illegal trash dumps on our ACSO Facebook page from the desert off Cole Road. Sadly, illegal dumping remains a persistent problem in the desert surrounding the cities of Ada County. The dump area in question is in a gravel pit just south of Tenmile Creek Road. There were several different trash piles, including residential stuff like clothes, old toys and car parts in addition to construction material like shingles, paint, and old tires. Our deputies, who are quite good at finding people who leave piles of trash in the desert, have cited 26-year-old Matthew Ray Bryant of Boise for illegal dumping. Deputies figured out Bryant was responsible for some of the household trash left in the gravel pit. Deputies are still pursuing leads on who dumped old construction materials and other trash at the site. The ACSO Sheriff’s Labor Detail cleaned most of the debris out of the pit last week. Anyone who dumps trash in the desert — or any land that is not theirs — is committing a crime and being a lousy steward of the land. Considering how the potential penalty for the infraction of placing debris on public property is a $300 fine and up to 10 days in jail, wouldn’t it be much easier and less costly to take such trash to the Ada County Landfill on Seamans Gulch Road? Most household loads of trash (think the bed of a half-ton pickup) cost about $11 to dispose of at the landfill. Check out the Landfill webpage for more information.